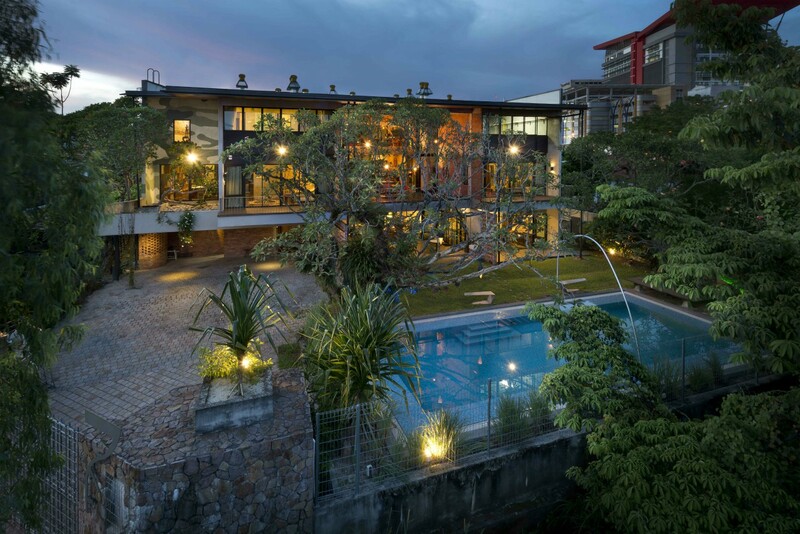 The S11 house is located in an established older suburb of Petaling Jaya. The existing old house on the site was built in the early 1960鈥檚 and had become dilapidated and run-down over the years. 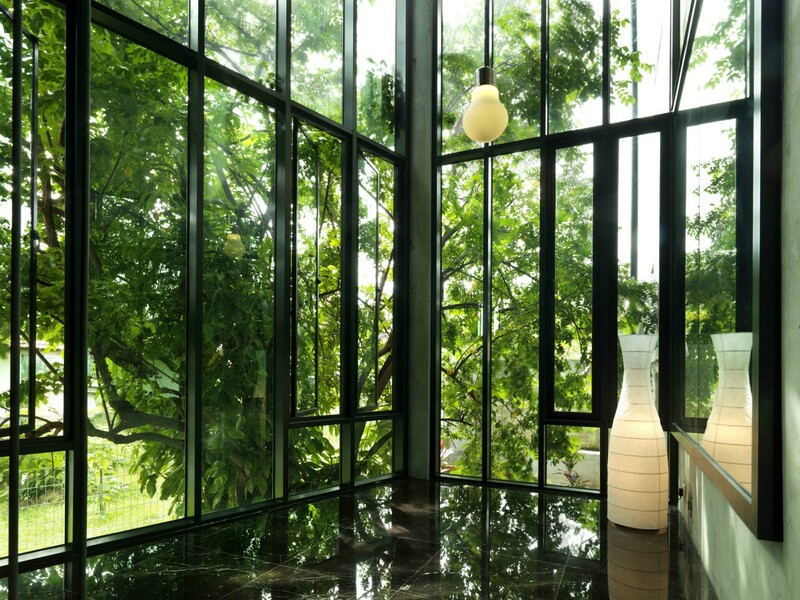 A new green tropical house was planned for the site and conceptualized along the lines of a tree. The large tree canopy would cover and shelter the living spaces underneath it. 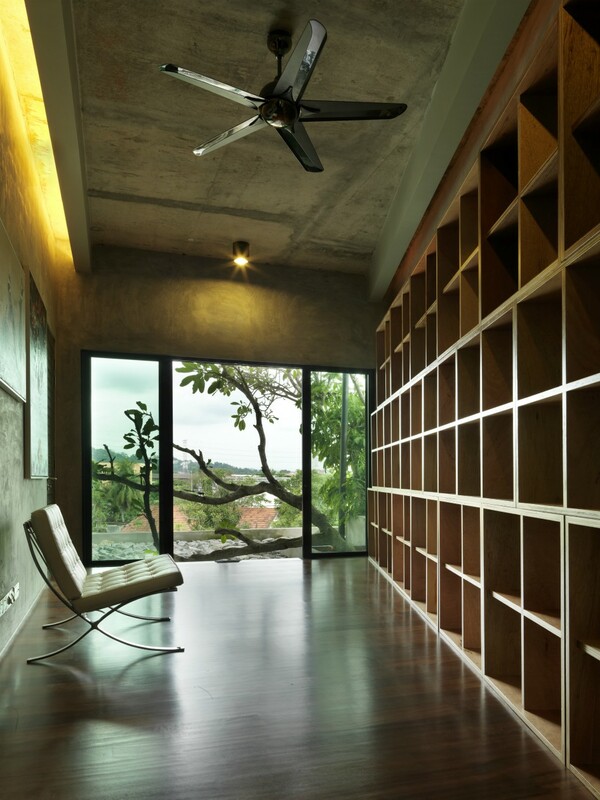 The S11 House was designed to achieve the highest level Platinum rating of Malaysia鈥檚 Green Building Index (GBI). 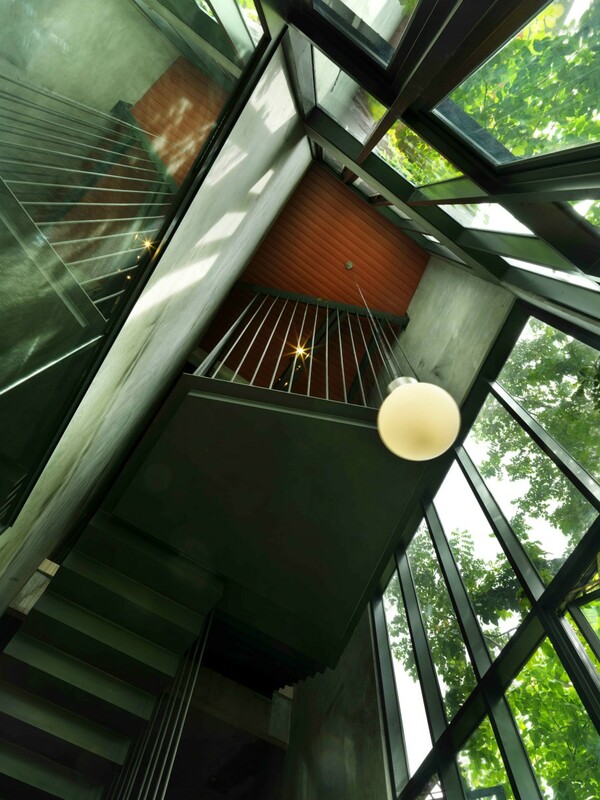 A specially designed wind turbine combined with a steel framed glazed pyramid provides the house with 鈥渟tack effect鈥?ventilation and light pipes. These 15 numbers of turbines are driven both by wind as well as convection when the air within the glass pyramids heat up as a result of the greenhouse effect. 聽A 3 degree differential is enough to spin the turbines by convection. The large canopy roof is pitched at 5 degrees to facilitate self cleaning of roofing material and solar panels. A 5 KW peak photovoltaic installation is mounted unto the large canopy roof and the generated electricity is sold back into the national electric grid. The solar hot water heaters are also located on the large roof area. 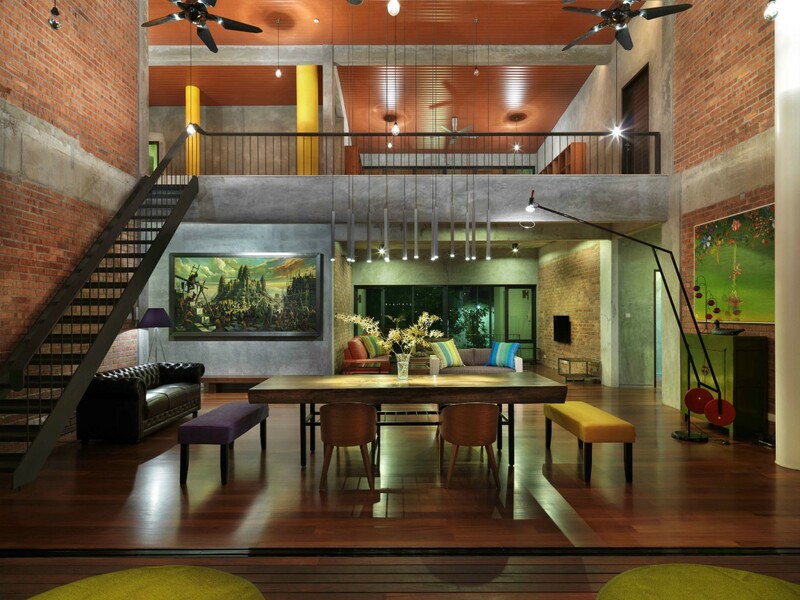 The majority of the house has bare natural finishes 鈥?raw off-form concrete walls and ceilings, cement plastered walls without paint and natural fair-faced common red clay brickwork. Stonework for bathrooms, driveway and Ground Floor living areas all come from project rejects. The timber flooring and upper decks are all Forest Stewardship Council (FSC) certified whilst the ground floor decking timbers are old recycled chengal collected over many years. Limited surfaces are painted with Low VOC paints. All internal joinery work has low VOC content and also water based glues. The 1m X 1m modular book shelves are all made from recycled waste plywood off-cuts with low VOC coatings and water based glues. The modules are stackable and can be relocated with ease in the boot of a car. 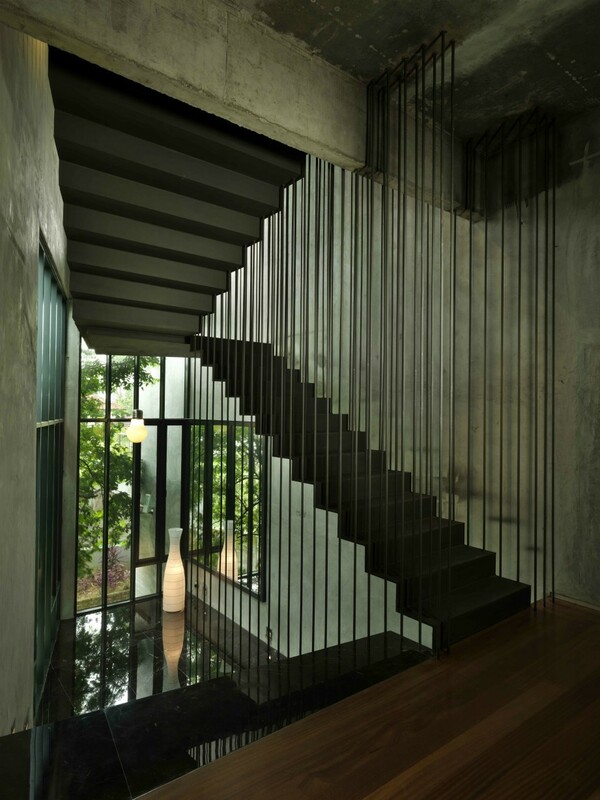 The S11 house is Malaysia鈥檚 first GBI Platinum (DA) rated building and has won numerous awards both local & internationally.